A further STIRLING-model is available. 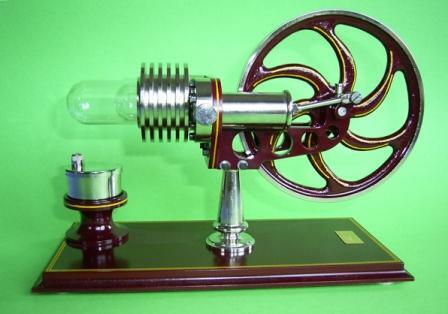 It has the frequently represented design of the STIRLING-motor and is called „CLASSIC“. In form, design and technique it‘s a model, that as third one in this construction line numbers among the desk- and show-case models. 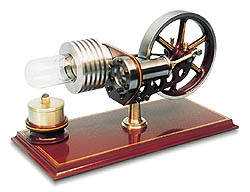 flying wheel D-90 mm, heating-displacement glass cylinder.